Divnick International Inc, and its related companies, are as varied as the inventions themselves. People often ask how these diverse product lines are related. The answer is that they are connected by the interests of Steve Divnick. Click here if you want to call us or send an email. Following is a list of the Divnick International family of companies and product lines. Over $1 billion has been raised around the world for various charities, museums, zoos, and other organizations in these amazing coin funnels. The Mini-Well Vortx® model is a popular toy. 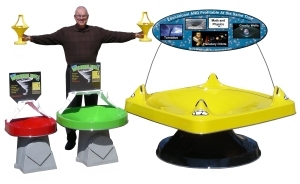 It is fun for children, and appeals to parents because it encourages saving money and scientific discovery. 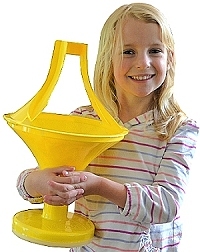 You can move it in a circular motion to create centrifugal force and make the coins climb back UP the funnel. Our "Student Guide" includes lessons about the physics of the funnel, planetary orbits, tornados, and whirlpools. Play the whole game with just one club. The transmission adjusts to all the traditional lofts, plus half-lofts. You can also include your name or corporate logo. 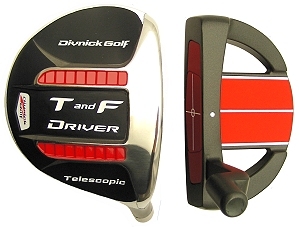 In addition to the Adjustable Loft club, we make telescopic drivers, putters, and a full line of travel clubs. This completely illegal driver is MUCH longer and larger than the legal limit. We designed it as an exhibition club for fund raising at charity golf outings where everyone gets a chance to hit it. 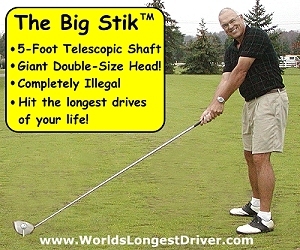 It can also be purchased for the golfer who "thinks" he has everything...but doesn't! Check it out. Let your charity contacts know about it. We were pioneers in the VOIP industry with Orbitalk and Voxwire. Our technology connected the world with unlimited global calling and web-conferencing over the Internet with up to 1,000 at a time in large meetings. We designed it for business, institutions, local governments, and personal use and supplied the technology to other providers. After creating the company and developing it into a global service, Divnick sold Voxwire to a large telecommunications company in New York. 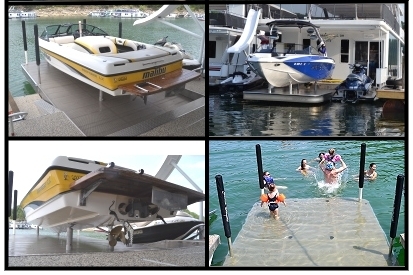 Our proprietary boat lifts offer many benefits not found on other lifts. Unlike sloping ramps, they operate straight up and down which allows your ski boat, wakeboard boat, or fishing boat to be loaded backwards if you need to work on the engine, prop, or outdrive. An added benefit is that the lift becomes a submersible swim platform for family fun, or reading a book on a hot day while sitting in a submerged chair! 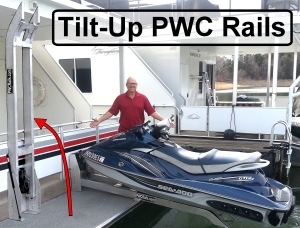 We have created two styles of innovative after-market PWC Rails for houseboats, yachts, private docks and piers. These include Ride-On-Self-Leveling models that would make James Bond jealous, and Winch-Up models that mount on swim platforms and tilt up out of the way when not in use. Click here to see pictures and descriptions. Click here to learn more about Steve Divnick, the inventor and owner of Divnick International, Inc.